December 6, 2018 – Global cyber security firm ESET has been identified as a ‘Top Player’ in the latest edition of Radicati’s Market Quadrants SM, which covers the ‘Endpoint Security’ segment of the security market. ESET has been recognized as a market leader with a solid vision for the future, as well as a company that offers products with breadth and depth of functionality. Radicati placed vendors on the Quadrant according to two criteria: functionality and strategic vision. With regard to functionality, firms were assessed on the depth and breadth of features on each solution. Strategic vision refers to a company’s thorough understanding of the customers’ needs, ability to deliver through attractive pricing and channel models, solid customer support and on-going innovation. Radicati also evaluated vendors’ endpoint security solutions according to number of key features and capabilities including but not limited to: deployment options, platform support, EDR, sandboxing, malware detection, reporting, anti-virus removal tools, patch assessment and remediation, web and email security, and more. Following the evaluation, ESET Endpoint Security solutions were commended by the technology market research firm for their small footprint with low system impact, as well as the fact that ESET solutions are available for both Windows and macOS. ESET solutions were also shown to provide businesses with robust security, combining reputation-based malware protection with advanced detection supported by machine learning techniques. Radicati further praised ESET for its understanding of, and response to, business needs. ESET remote administration provides businesses with an intuitive, easy-to-use way of managing all components of the ESET Endpoint Security suite. ESET LiveGrid®, a cloud-based reputation system which receives information from ESET’s global network of over 110 million installed sensors, was recognized as an important tool in advanced threat detection. ESET Enterprise Inspector – its EDR solution, combines ESET’s detection and protection technologies, threat intelligence and cloud based reputation systems with other advanced techniques, to monitor and evaluate suspicious processes and behaviors (both file-based & fileless). 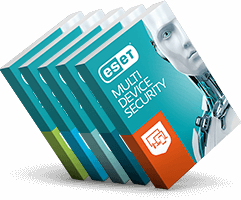 This allows ESET customers multiple options to respond to incidents or suspicious activities and better visibility into their company network. To read more about 2018 Radicati’s Market Quadrant: Endpoint Security, please click here, and to read more about ESET’s Endpoint Security solution, please click here.